In 2007 the Beneteau 49 won "Cruising World's" Boat of the Year award for the full-size production cruisers. 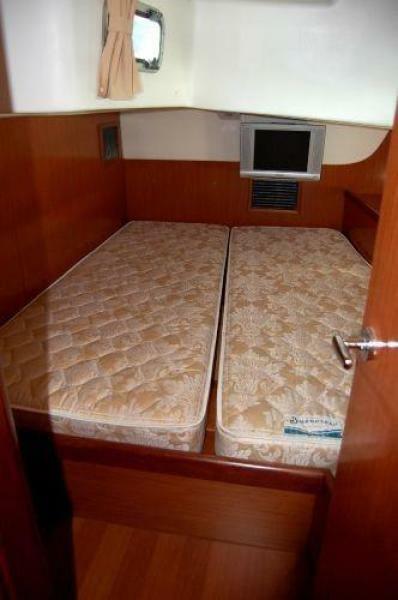 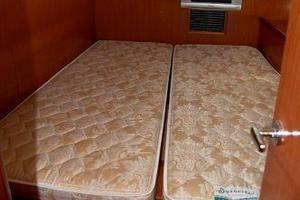 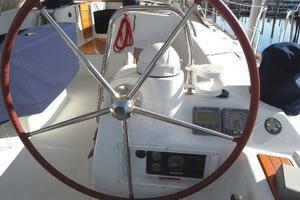 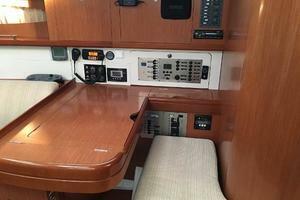 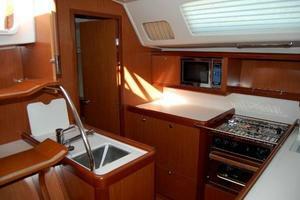 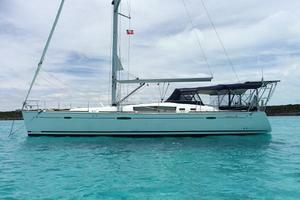 Proven cruising yacht in excellent condition. 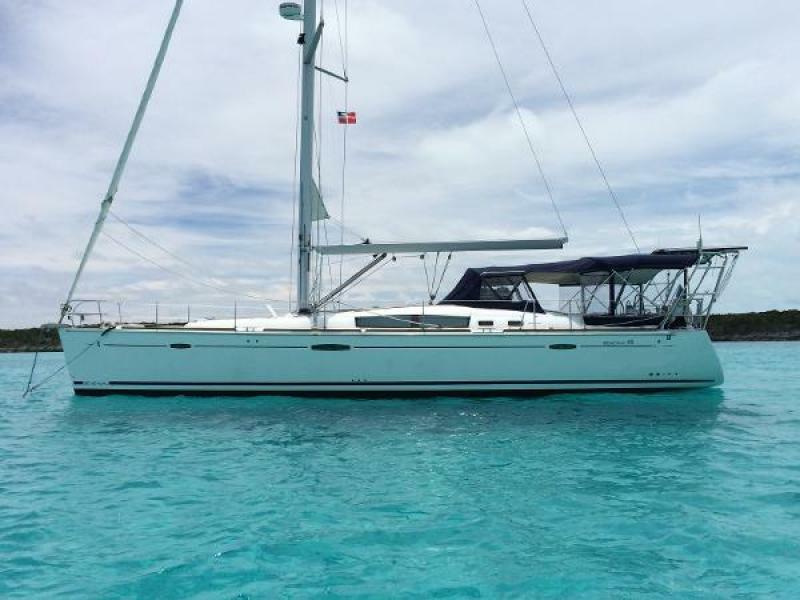 Low hours on engine and generator, numerous upgrades, and constant maintenance from her live aboard owners create a unique vessel with exceptional value. 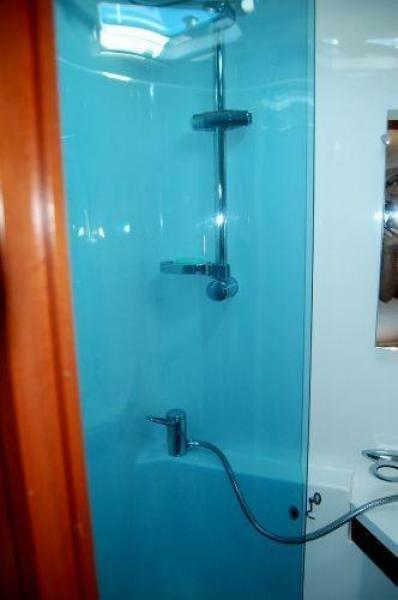 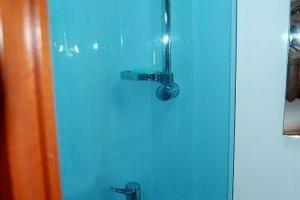 Contact listing broker to set up an appointment to see this vessel NOW. 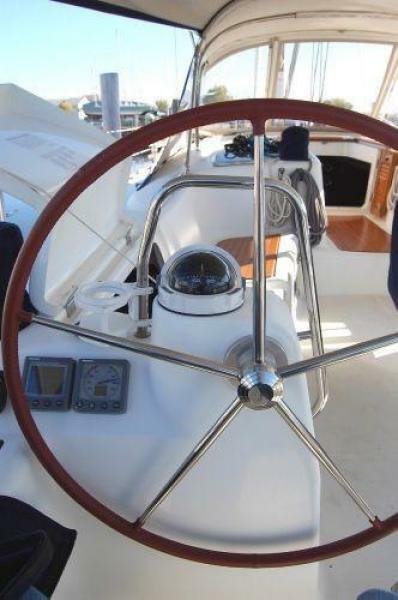 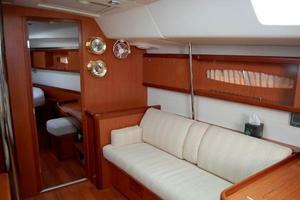 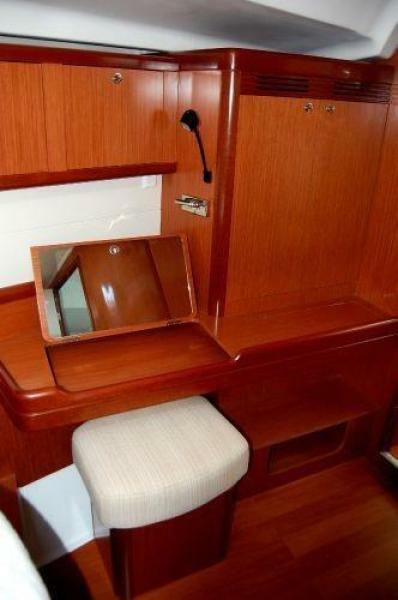 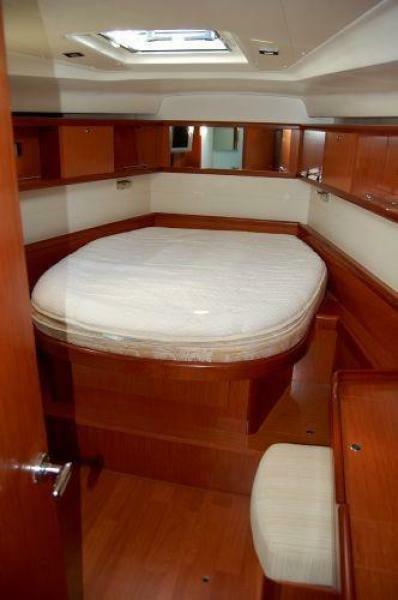 West Florida Yachts would love to guide you through a personal showing of this 49' Beneteau 49 2008. 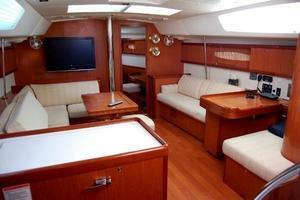 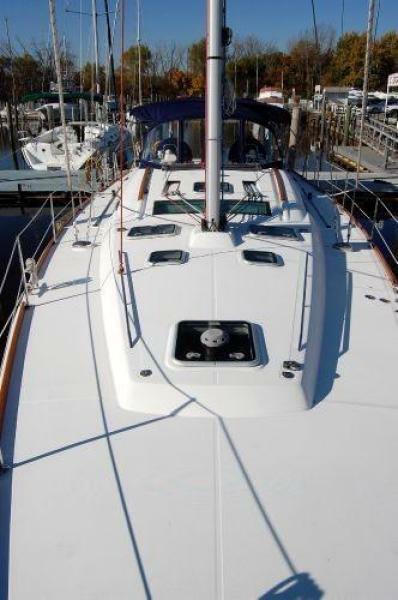 This yacht for sale is located in en-route Ft Lauderdale, Florida and priced at $264,900. 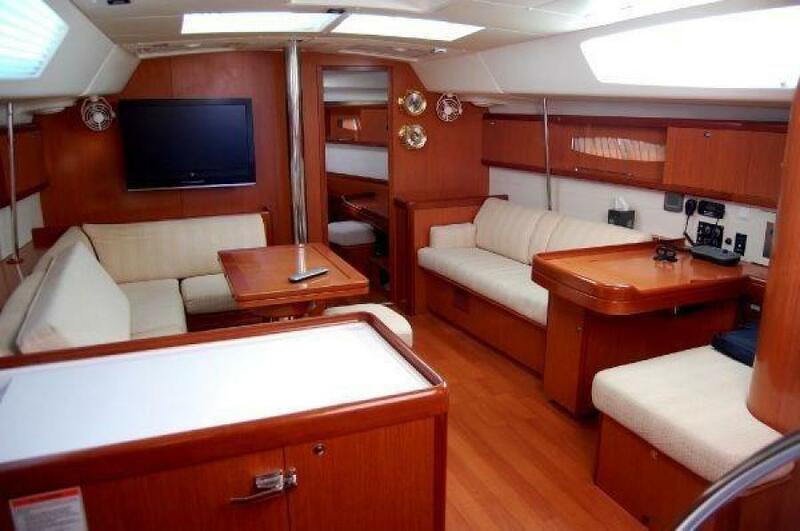 For a showing please contact us by filling out the form on this page and we will get back to you shortly!
. The Galley is aft to port. 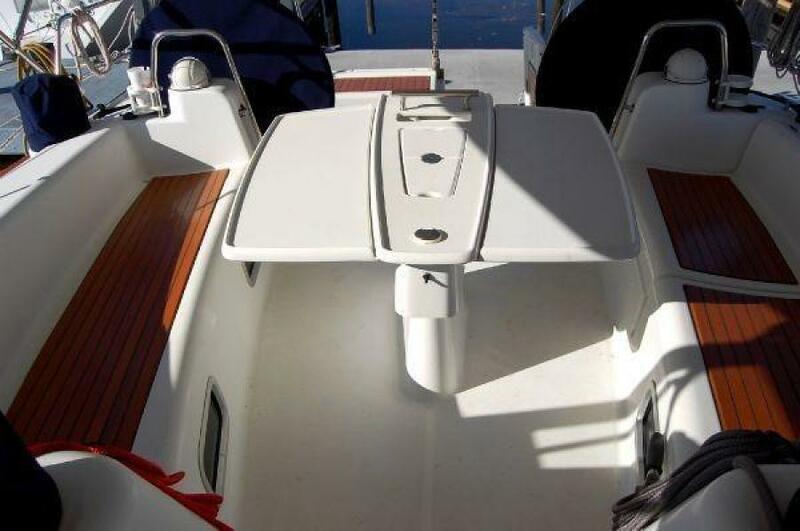 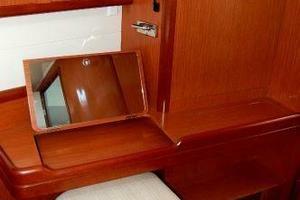 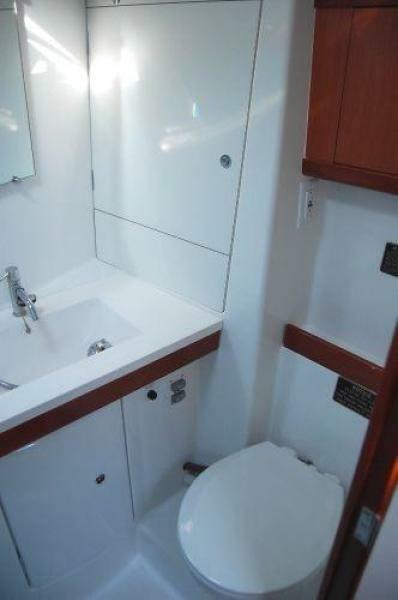 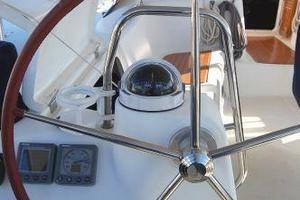 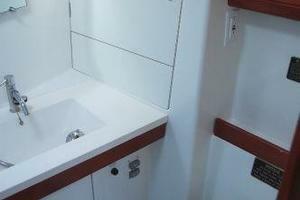 Starboard is the aft head with a manual marine toilet and one-piece molded head. 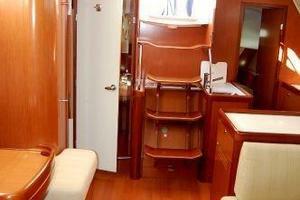 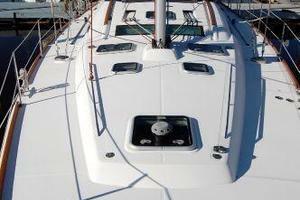 The twin aft cabins also have excellent headroom and a large berth. 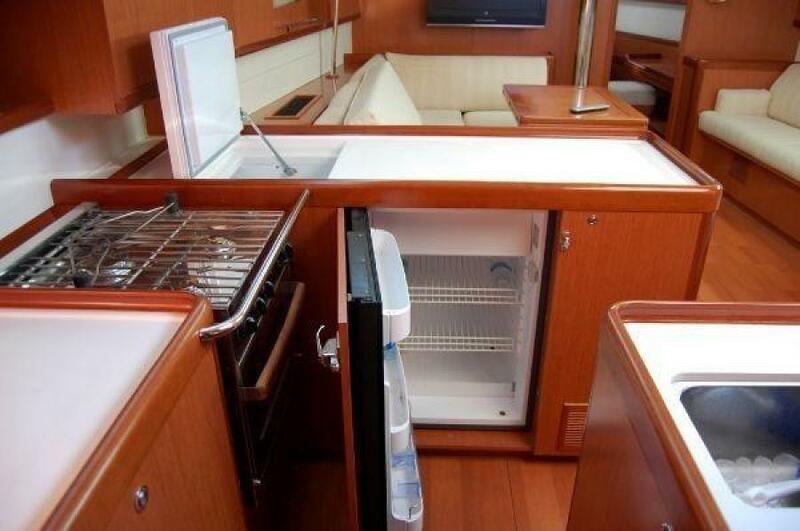 The large "L"-shaped galley is located mid-ships to port. 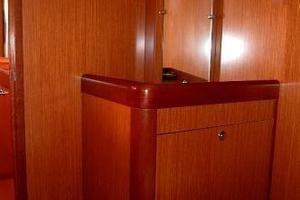 All interior woodwork is lustrous varnished Maobi Alpi. 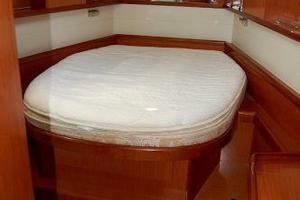 The salon cushions are a beige "Ultra suede". 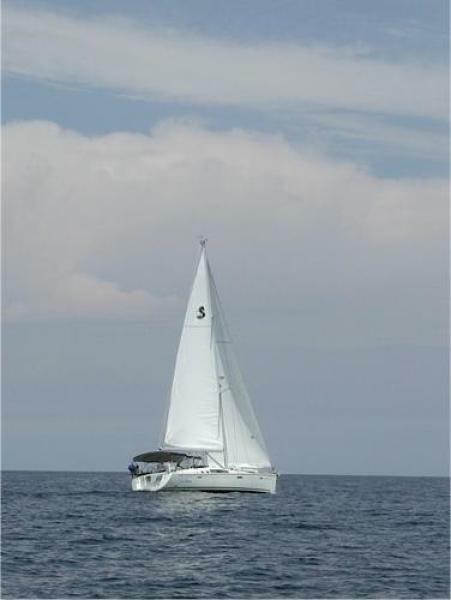 "The winner: On the other hand, the Beneteau sailed well, too. 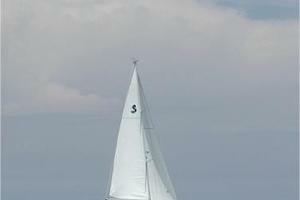 In 8 knots of breeze, it sailed along close-hauled at about 6 knots, and when cracked off to a reach, the speed increased to just under 7 knots. 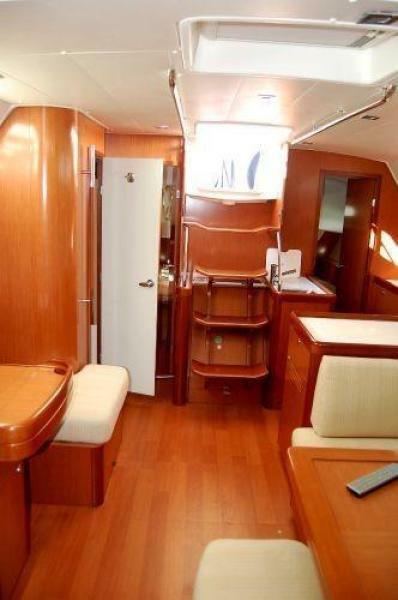 On deck, naval architects Berret Racoupeau created an appealing and modern look, giving the 49 a clean, uncluttered foredeck, a cabin top with a slight arch, and a spacious cockpit featuring twin helms and a walk-through transom. 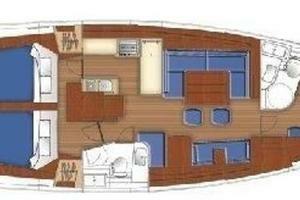 Below, Beneteau brought in Italian mega yacht designers Nauta Yachts to give the 49 an elegant air from stem to stern. 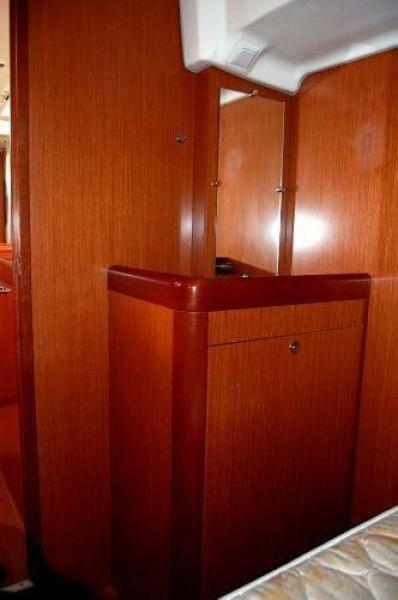 Cabinetry is made from moabi hardwood, which is offset by light-colored fabrics and paneling to give the saloon and cabins a bright and airy feel, prompting one judge to remark on its warmth. 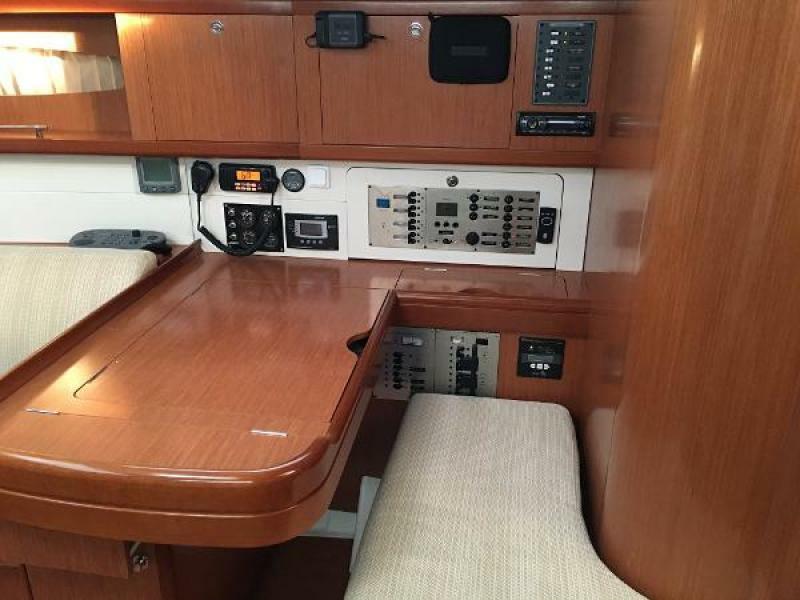 From a well-equipped nav station to a pop-up flat-screen television by the forward bulkhead, it offered lots of comforts for family cruising......."